John Stanley was born in London on 17th January, 1712. At about the age of two, he had the misfortune to fall on a marble hearth with a china basin in his hand, an accident which left him almost blind – apparently he was still able to distinguish colors and possibly some shapes. He began studying music at the age of seven. Under the guidance of Maurice Greene, composer and organist at St. Paul's Cathedral, he studied "with great diligence, and a success that was astonishing" (Burney). At the age of nine he played the organ, probably as an occasional deputy, at All Hallows, Bread Street. The organist died on 23rd September 1723 and exactly one month later eleven-year-old Stanley was appointed organist to the church at a salary of £20 per annum. The St. James's Evening Post reporting the event stated that Stanley "is become the Surprize of the Town for his ingenious Performance on the Harpsichord and Organ; and, in the opinion of good Judges, bids fair to equal, if not exceed the Merit of his celebrated Predecessor." When he was fourteen "in preference to a great number of candidates" (Burney) he was chosen as organist at St. Andrew's, Holborn and at the age of seventeen became the youngest person ever to obtain the Bachelor of Music degree (B.Mus.) at Oxford University. In 1734 he was appointed organist to the Society of the Inner Temple - a position he held until his death. It was at the ancient Temple Church that his brilliant playing upon the organ and harpsichord attracted the attention of many fine musicians including Handel who regularly visited the church to hear him. Stanley was also an outstanding violinist and led the subscription concerts at the Swan Tavern in Cornhill and at the Castle Tavern in Paternoster Row. In 1738 Stanley married Sarah Arlond (daughter of Captain Edward Arlond of the East India Company) who brought him a dowry of £7,000 per annum. Sarah's sister Ann, who at this time lived with them, became the blind composer's copyist. Though virtually blind, Stanley had a remarkable memory which helped him direct many of Handel's oratorios and to enjoy music-making and card games with his many friends. If he had to accompany a new oratorio he would ask his sister-in-law to play it through just once - enough to commit it to memory. He frequently played the organ at the Vauxhall Pleasure Gardens and was first choice to play at charity events and at the launch of any newly built church organs. He even found time to teach. His oratorio Jephthah was first performed in 1757. 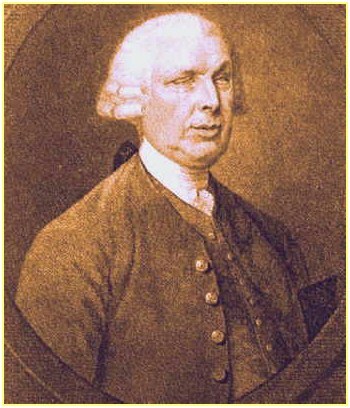 After Handel's death in 1760 Stanley began a partnership with the composer John Christopher Smith in order to continue with the performances of oratorios at Covent Garden. For the first season Stanley composed 'Zimri'. Stanley accompanied all oratorios, and played a concerto during each interval. Also in 1760 he composed an ode in memory of the late George II and as homage to George III; it was first performed at the Drury Lane Theatre. On the occasion of the King's wedding in 1762 he composed a dramatic pastoral Oratorio, Arcadia. Handel had been a Governor of the Foundling Hospital, London. The Hospital's Chapel organ was Handel's gift, and Handel himself directed eleven performances of the Messiah there, so raising 7,000 Pounds for the charity. Continuing yet again in Handel's footsteps, Stanley was elected a governor of the Hospital in 1770, and from 1775 until 1777 he directed the annual performance of Handel's Messiah in aid of the hospital funds. In 1779 Stanley succeeded William Boyce as Master of the King's Band of musicians. In this capacity he composed many New Year and Birthday odes to the King but unfortunately this music has not survived. Stanley's last work was probably an ode written for the King's birthday (4th June 1786). Stanley never heard its performance - he died at his home in Hatton Garden on 19th May, 1786 aged 74.